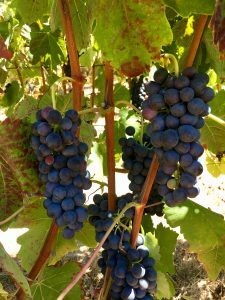 Above is some nicely ripening Syrah, this one is the Bien Nacido clone (historically emanating from the Santa Maria Valley, and notably used by Qupe’ and Au Bon Climat). 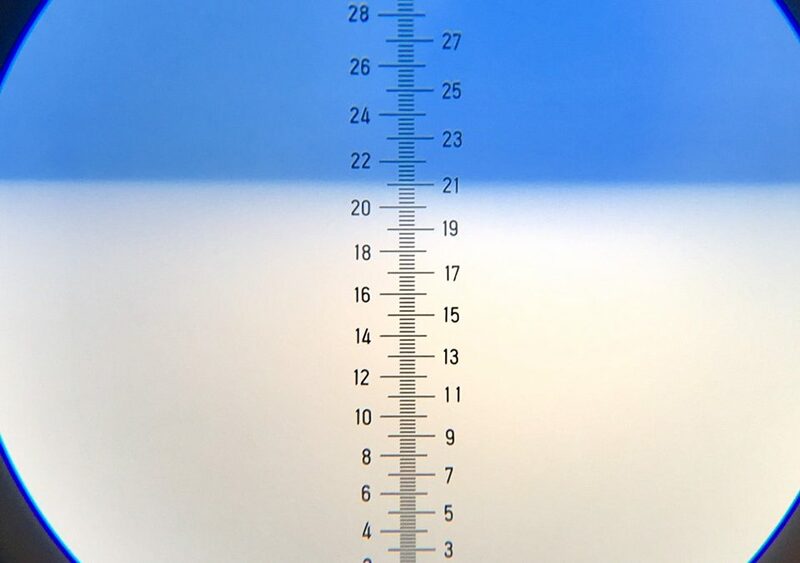 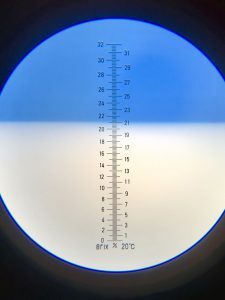 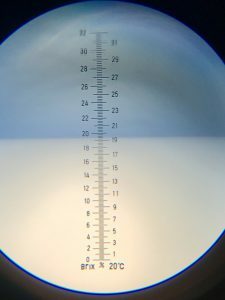 This is a view through a hand held field refractometer. 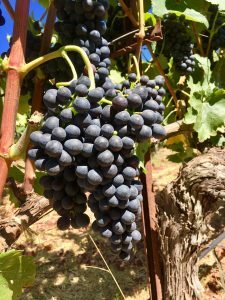 Here is some slightly less ripe Syrah, with equally sized berries but smaller clusters, this being the Durell clone (from the famous Durell Vineyard of the 1970’s in Sonoma). 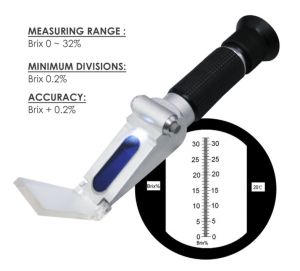 And the brix are lower, hovering closer to 19. 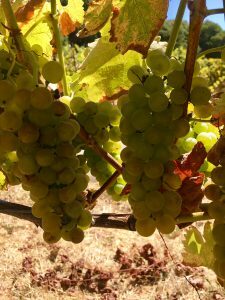 With the Syrahs above, we simultaneously pick and co-ferment about four percent Viognier, seen here. 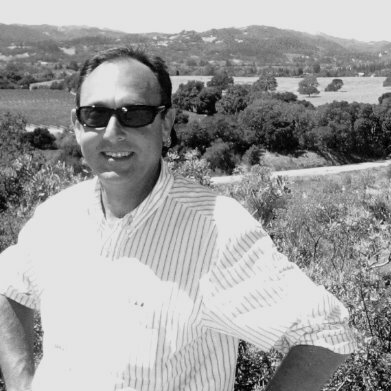 Both Syrah and Viognier originate from the Rhone Valley in France.